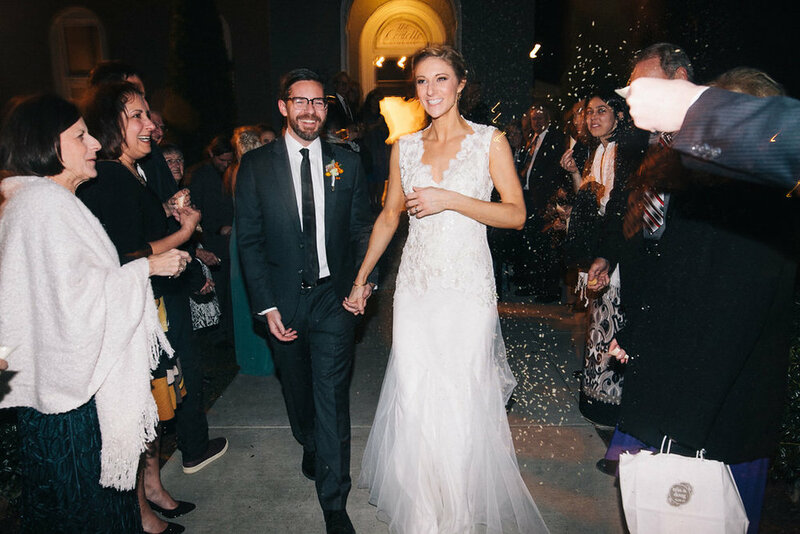 Erin and Doug planned their wedding from Indianapolis, joining the trend of couples choosing Nashville for a destination wedding. Their love for the city drew them here to say their I Dos. They had already picked out their venue when we began working together, but it is one of my absolute favorites - The Cordelle in downtown Nashville. We carefully chose all of their other vendors to fit their elegant style and that of the venue, which included an emphasis on natural materials. With a smaller guest list and some older guests, we decided to create comfortable seating areas for both the cocktail hour and reception. The notes of comfort, warm tones, and tasty beverages helped knock some of the chill off the December evening.